More than 40,000 walkers and 2,000 volunteers recently participated in Project Bread’s 46th annual Walk for Hunger to raise awareness of and funds for hunger relief initiatives in the Bay State. Among this year’s walkers was a dedicated team from Peabody Resident Services, Inc. (PRSI), a division of Braintree-based real estate firm Peabody Properties, Inc. dedicated solely to the development of support services and programs for residents of affordable housing. 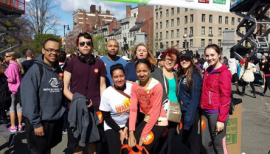 Consistent with their commitment to helping others, the PRSI team hit the streets of Boston on Sunday, May 4th and helped raise more than $625 for Project Bread, which supports in excess of 400 programs in more than 120 communities across Massachusetts. The walkers, who dubbed themselves team “Back on our Feet,” are members of PRSI’s Group Adult Foster Care (GAFC) Program team, which provides residents with daily services including personal care, housekeeping, laundry, shopping, meals, transportation coordination and case management. 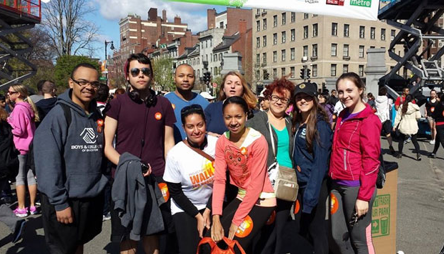 Walkers Help Raised Much Needed Funds for Hunger-Relief Programs in Massachusetts.